Life insurance is an important financial tool that could benefit you at many different stages in your life. A Life Insurance plan ensures that your family is financially secure even if tomorrow you are no longer around to care for them. Life insurance is a unique investment that helps you to meet your dual needs - saving for life's important goals, and protecting your assets against risk . Life insurance provides money typically to beneficiaries after a loved-one who has life insurance dies. Life today is full of uncertainties and in this scenario Life Insurance ensures that your loved ones continue to enjoy a good quality of life against any unforeseen event like your absence if you are the person on whom everybody depends..
Life Insurance not only provides for financial support in the event of untimely death but also acts as a long term investment. You can meet your goals, be it your children's education, their marriage, building your dream home or planning a relaxed retired life, according to your life stage and risk appetite. All the traditional life insurance policies i.e. traditional endowment plans, offer in-built guarantees and defined maturity benefits through variety of product options such as Money Back, Guaranteed Cash Values, Guaranteed Maturity Values. Life Insurers through riders or stand alone health insurance plans offer the benefits of protection against critical diseases, accidental benefits and hospitalization expenses. This benefit has assumed critical importance given the increasing incidence of lifestyle diseases and escalating medical costs. Life Insurance is a long-term contract where as policy holder, you have to pay a fixed amount at a defined periodicity. This builds the habit of long-term savings. Regular savings over a long period ensures that a decent corpus is built to meet financial needs at various life stages. 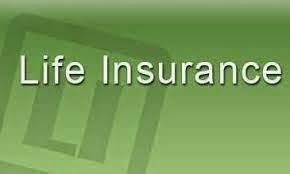 Life Insurance is a highly regulated sector. The regulatory bodies, through various rules and regulations ensures that the safety of the policyholder's money is the primary responsibility of all stakeholders. Life Insurance being a long-term savings instrument, also ensures that the life insurers focus on returns over a long-term and do not take risky investment decisions for short term gains. Life Insurance is one of the best instruments for retirement planning. The money saved during the earning life span is utilized to provide a steady source of income during the retired phase of life. Since traditional policies are viewed both by the distributors as well as the customers as a long term commitment; these policies help the policyholders meet the dual need of protection and long term wealth creation efficiently. Traditional policies offer an opportunity to participate in the economic growth of the country without taking the investment risk. The investment income is distributed among the policyholders through annual announcement of dividends/bonus. Policyholders have the option of taking loan against the policy. This helps you meet your sudden, unplanned life stage needs without adversely affecting the benefits of the policy they have bought. Insurance plans provide attractive tax-benefits for both at the time of entry and exit under most of the plans. Insurance acts as an effective tool to cover mortgages and loans taken by the policyholders so that, in case of any unforeseen event, the burden of repayment does not fall on the affected family. In this way, life insurance offers several advantages not available from any other financial instrument.